Enrolling in organic gardening courses and workshops. In Australia, community gardening is a way for people to engage with public and institutional land and to take responsibility for its management. Community gardens are a way of bringing food production back to the city and are one element in making Randwick more resilient to environmental and social pressures. Community gardens are places where people come together to grow fresh food, to learn, relax and make new friends. Community gardeners know that sharing land to grow food and other plants builds a sense of place and community. 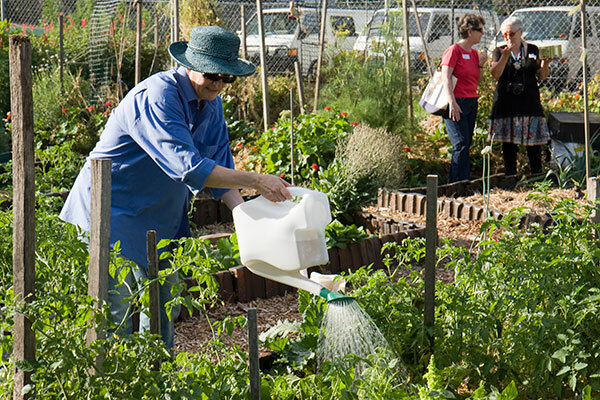 Research in 2005 by Dr Bruce Judd and Dr Rob Samuels of the AHURI UNSW-UWS Research Centre found that community food gardening, as part of a community development strategy, was effective in reducing the incidence of crime on housing estates. Thinking about setting up your own community garden? We are a group of people living in Coogee who love the smell of home grown tomatoes. We want to establish a garden in Coogee so we can grow vegetables and nurture community. Over the past few years, a small but dedicated crew have maintained the enthusiasm and the dream of a community garden. And, now it is a reality! Membership of Coogee Community Garden (CCG) is open to adults of 18 years and above, although children and young adults can attend the garden with their parents and guardians. There are two kinds of active members at the CCG. Garden Growers (Plot members) — those who have been allocated plots. The garden is behind the scout hall on Dolphin Street. visit the CCG facebook group. 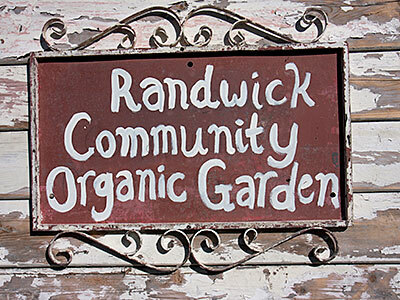 Randwick Community Organic Garden (RCOG) offers the community space to grow fresh veggies, herbs and flowers using organic gardening methods. The garden is run by community members and offers both communal and private plots. Randwick Community Organic Garden sits at the Northern end of Paine Reserve on the corner of Rainbow and Botany Streets, Randwick. Gardening with RCOG is a wonderful way to meet people from different segments of the community and develop local friendships and connections. The garden runs free monthly educational workshops for members in sustainable gardening and creative environments. Non-members are always welcome to these workshops for a small donation. RCOG aims to provide the community with an active experience of environmentally friendly living. visit the RCOG facebook group.